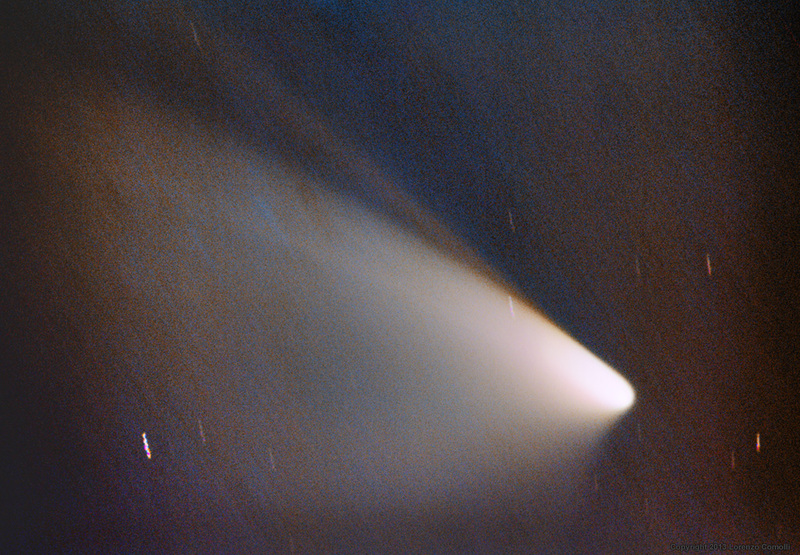 This image clearly show a yellow straight tail that is supposed to be a neutral sodium tail. The large and brighter one is made of dust. 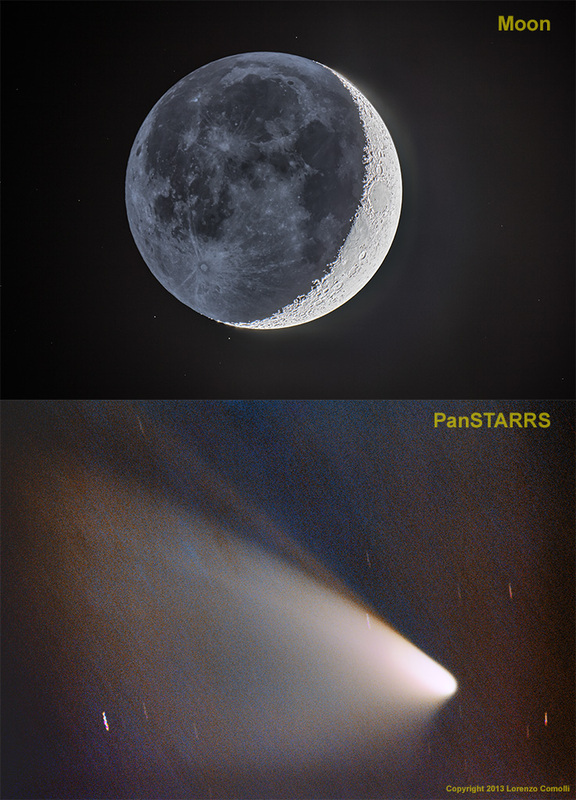 The images here below show a size comparison with the Moon (shot a few minutes after, using HDR technique). 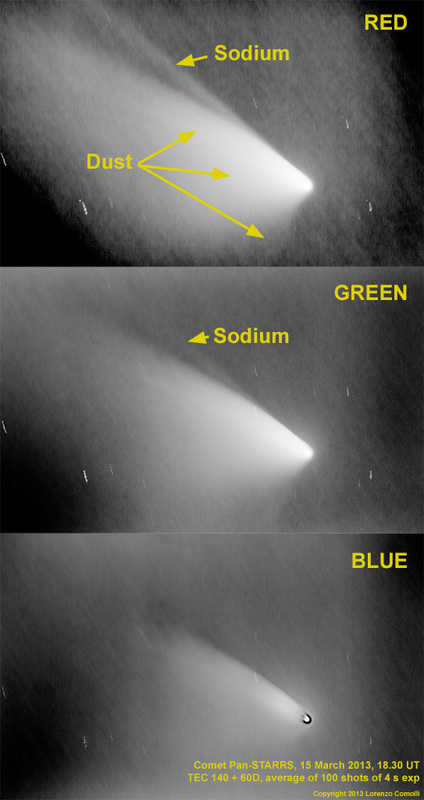 And the other image below show an RGB decomposition, where the sodium tail is clearly emitting not blue light, and so it is clear the absence of a ion tail.